During the blog tour, we will post on both Lysa’s and Proverbs 31 Ministries’ Facebook pages (combined reach of 1.8 million followers) with a link directing traffic back to the blog tour page. This will give our audience an opportunity to find your blog space as a participant in the tour! Additionally, we will post individual quotes from chosen blogs on the Facebook pages and link directly back to that blog. In this way, we can bless you with increased traffic to your site. The blog tour will take place August 11th through September 1. 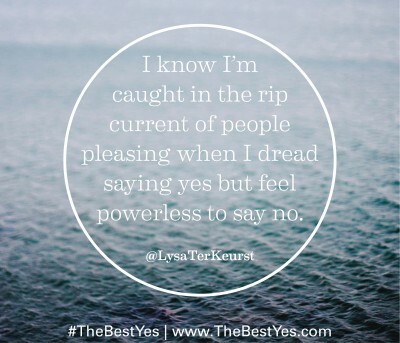 We suggest any of the following prompts that are aligned with The Best Yes message. 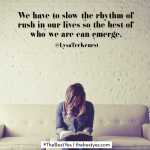 Prompt: “We have to slow the rhythm of rush in our lives so the best of who we are can emerge.” What has “rushing” stolen from you? 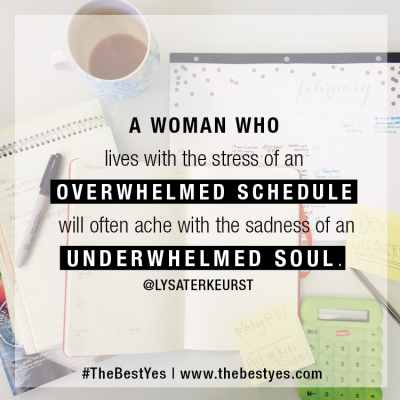 Prompt: “When a woman lives with the stress of an overwhelmed schedule, she’ll ache with the sadness of an underwhelmed soul.” How has this played out in your life? 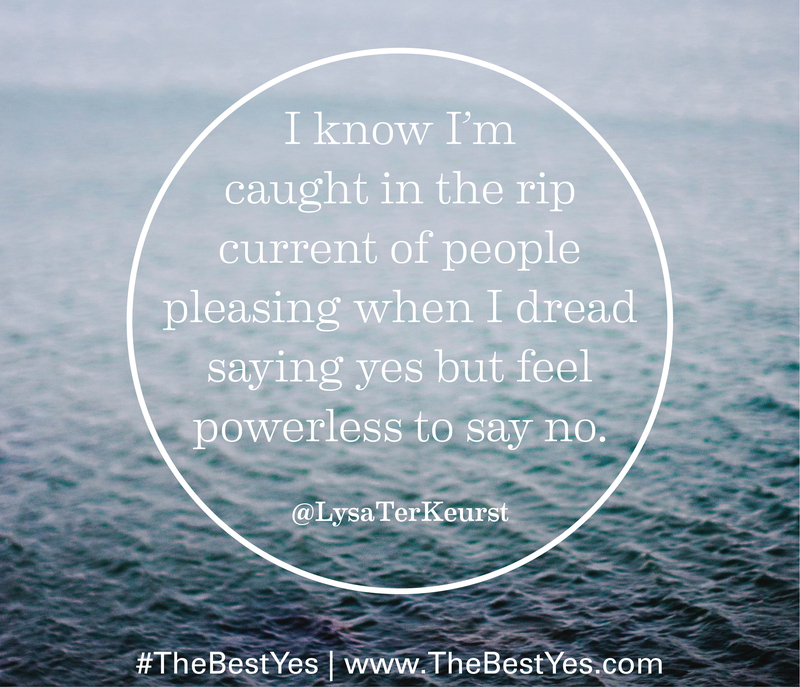 Prompt: “You know you’re caught in the rip current of people pleasing when you dread saying yes, but feel powerless to say no.” Tell about your struggle of being a people pleaser and how you’re learning to overcome it. Prompt: “Relationships can complicate things. 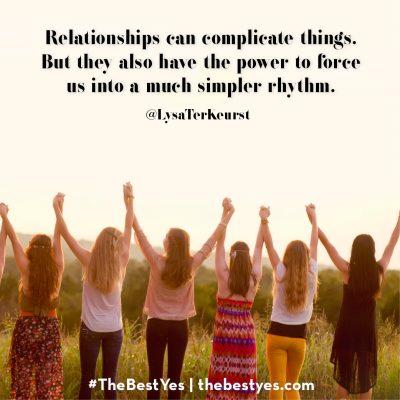 But they also have the power to force us into a much simpler rhythm.” Tell about a time you had to push through the awkwardness of saying no so you could say yes to God, your family, your calling, etc. 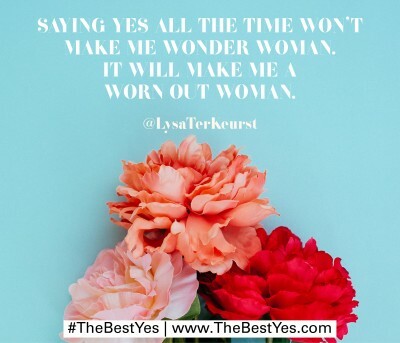 You can give a review of the book, write about one of the above themes or write whatever comes to mind when reading The Best Yes. We want this to work for you and the natural style of your blog. Please feel free to use any of these graphics on your blog or any of your other social media outlets. You do not need any special permission to use any of the art or pins on this page. Go here to download these quote graphics (.zip | 9.3 mb). Intro- let the world know that you are part of The Best Yes Blog Tour. Use this blurb or feel free to edit in your own style. Outro- Use this blurb or feel free to edit in your own style. Banner or blog button- choose from the images available on this page. Schedule a Tweet/Facebook/Pinterest update- tell the world you are a part of the tour and share your post with your followers. Consider embedding a video- if any of these videos fit with your post, your community will love it! The Best Yes – Lens of My Heart from Proverbs 31 Ministries on Vimeo. 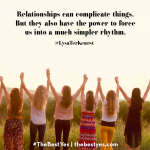 Follow this link (https://thebestyes.com/blog-tour) to upload your blog post to our blog tour page once your post is live. Remember, we’ll be promoting the blog tour page to our social media audience of 1.8 million! 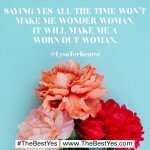 Feel free to use these additional quotes from The Best Yes in your blog post or social media promotions. We have to put our hearts and our minds in places where wisdom gathers, not scatters. If you desire to please God with the decision you make and afterward it proves to be a mistake, it’s an error not an end. My imperfections will never override God’s promises. God’s promises are not dependent on my ability to always choose well, but rather on His ability to use well. Not making a decision is actually a decision. It’s the decision to stay the same. 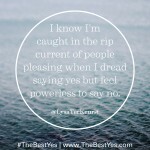 Saying no isn’t an unnecessary rejection. It’s a necessary protection of our Best Yes answers. It’s not the activities or accomplishments we string together that make lives well lived as much as it is the hearts of wisdom we gain and use along the way. 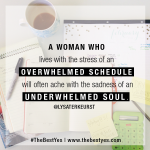 Our hashtag for all book related posts will be #TheBestYes. Feel free to use that whenever you talk about your post. 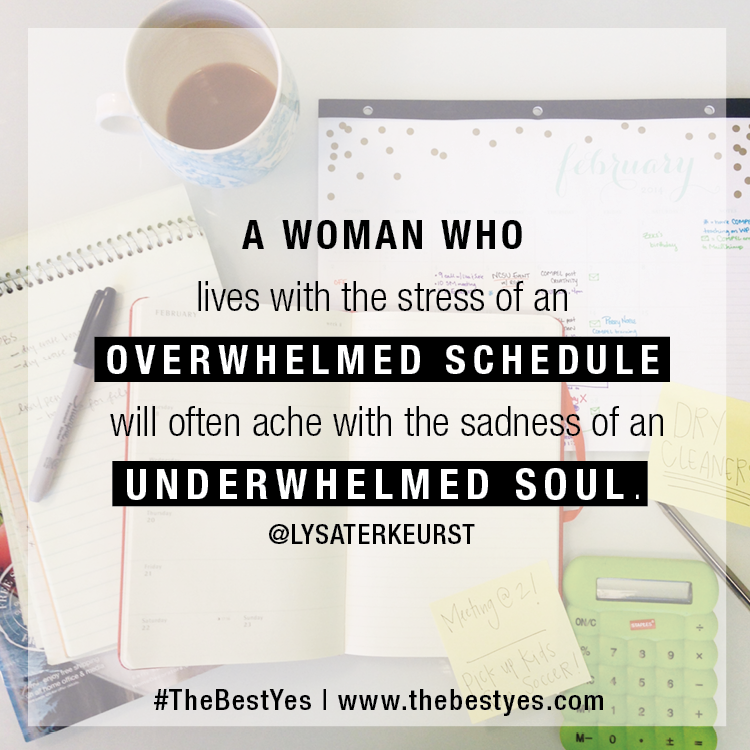 Also, Lysa’s Twitter/Instagram handle is @lysaterkeurst. Lysa TerKeurst is the New York Times bestselling author of Made to Crave and Unglued. She isn’t shy about admitting what a mess she can be. But in the midst of everyday “growth opportunities,” she’s been learning God’s lessons and sharing them on her blog (www.LysaTerKeurst.com) and in her books. 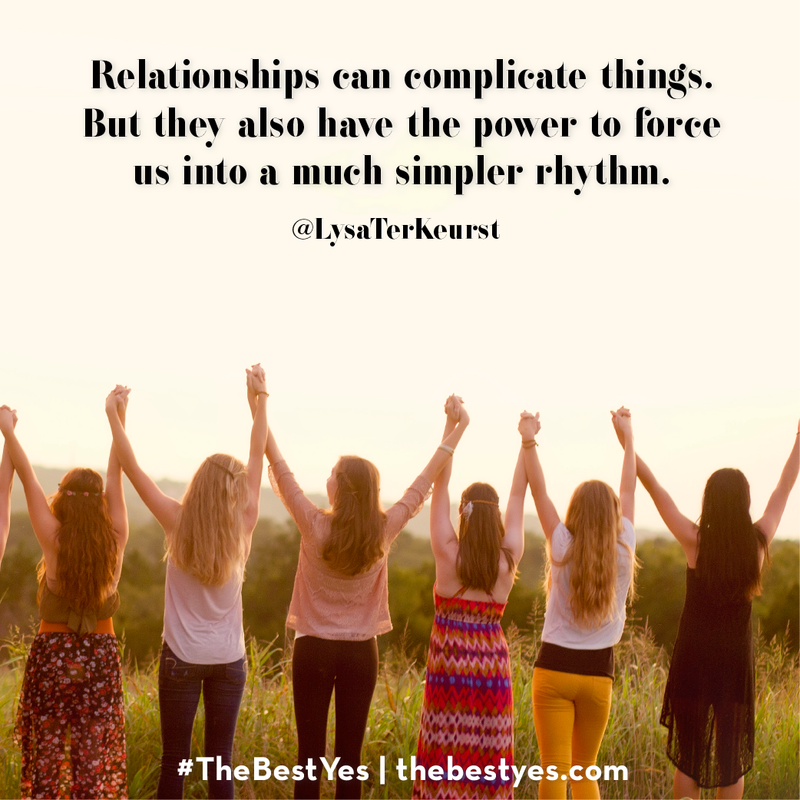 Lysa is president of Proverbs 31 Ministries and writes from her sticky farm table in North Carolina where she lives with her husband, Art, five kids, three dogs, and mouse that refuses to leave her kitchen.